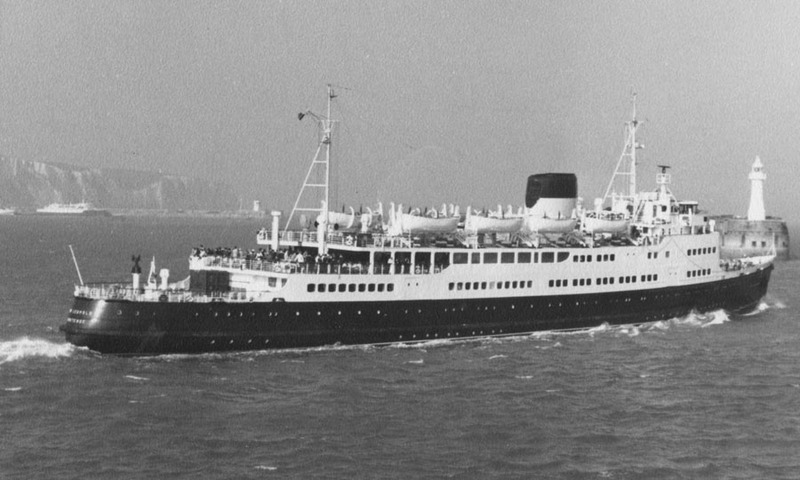 Steel twin screw motor vessel, built and engined by Cockerill’s of Hoboken (Yard no 777) in 1956 for the Belgian Marine Administration’s Ostend-Dover passenger service. Engines: Two 12-cylinder Cockerill/Sulzer two-stroke single acting diesels. 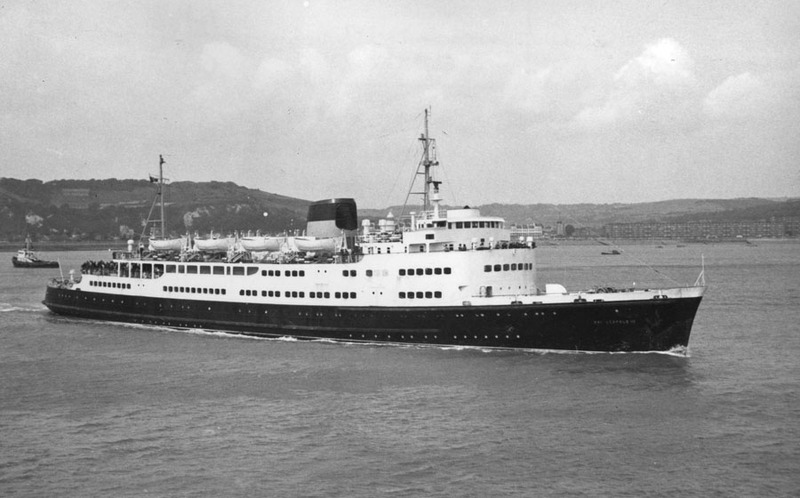 June 22nd 1956: Delivered to Regie voor Maritiem Transport, Oostende, Belgium. 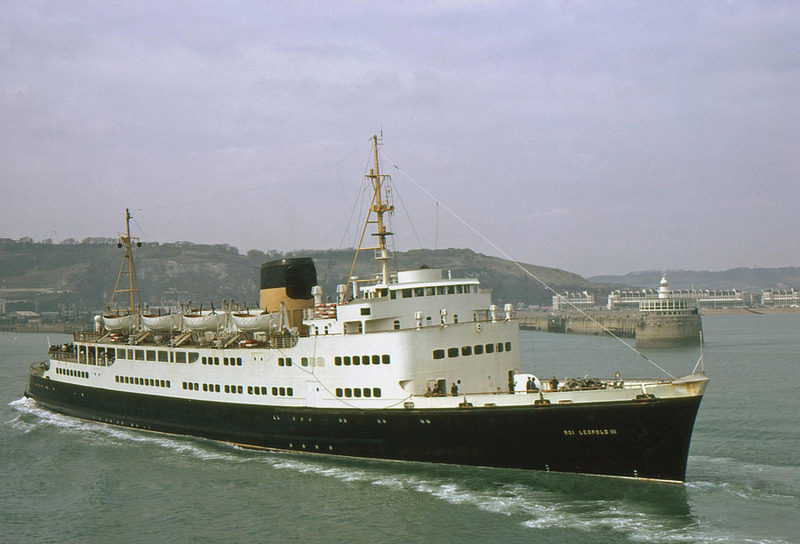 July 1956: Commenced service between Ostend and Dover. 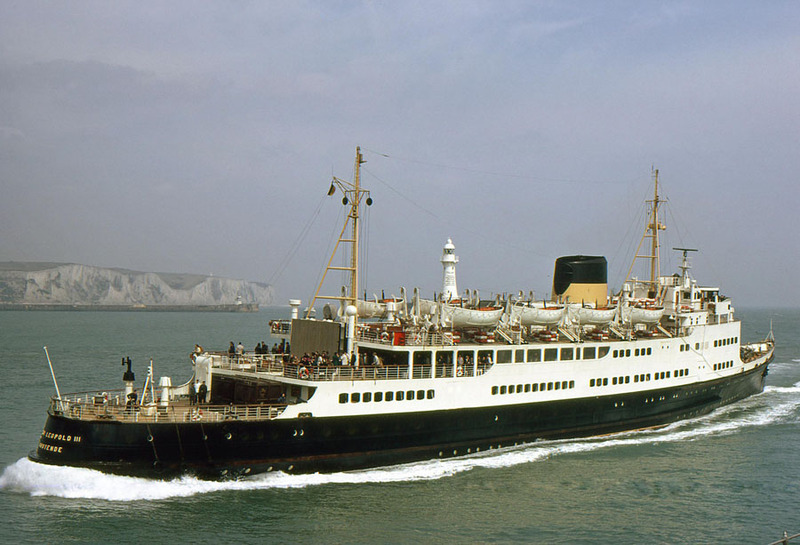 1968: English port became Folkestone. 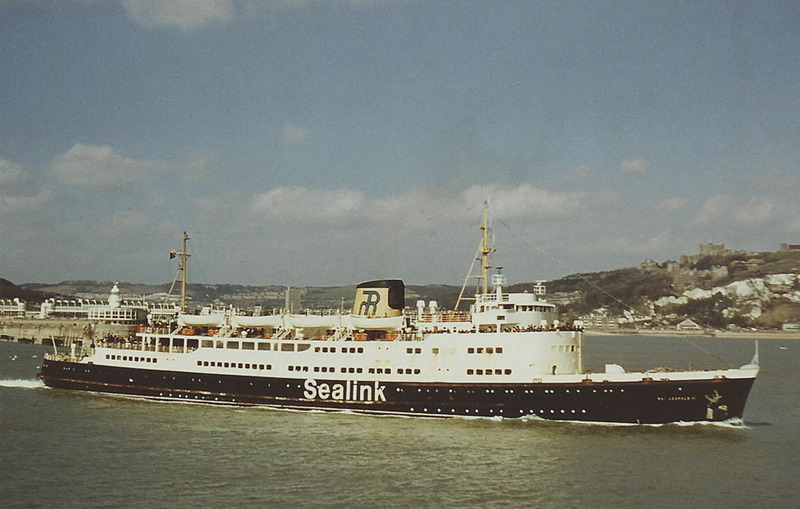 1969 (High Season): Made one sailing between Ostend – Harwich. 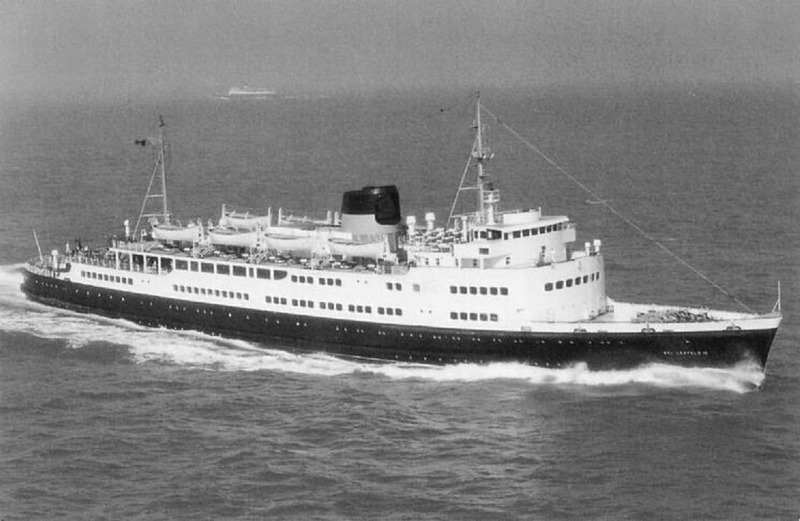 November 1st 1971: Belgian Marine became the Belgian Maritime Transport Authority – Regie voor Maritiem Transport (RMT). 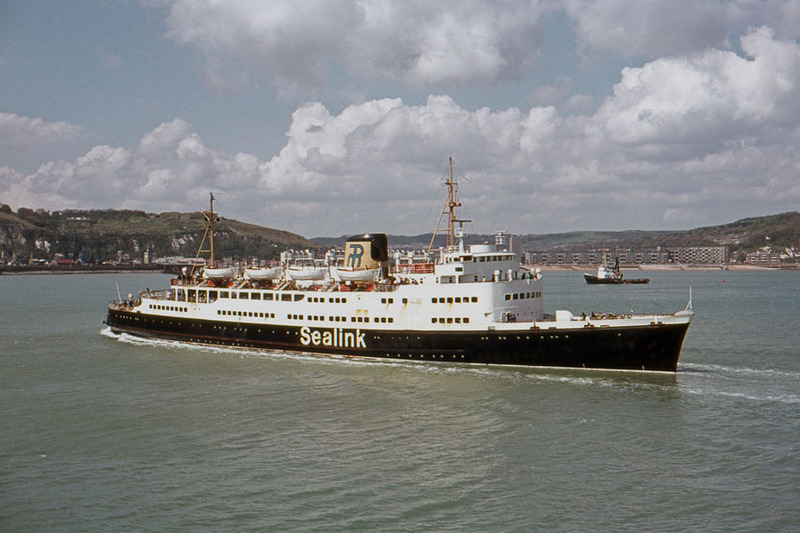 1975: Summer weekends and “specials” only. September 24th 1976: Laid up in reserve. 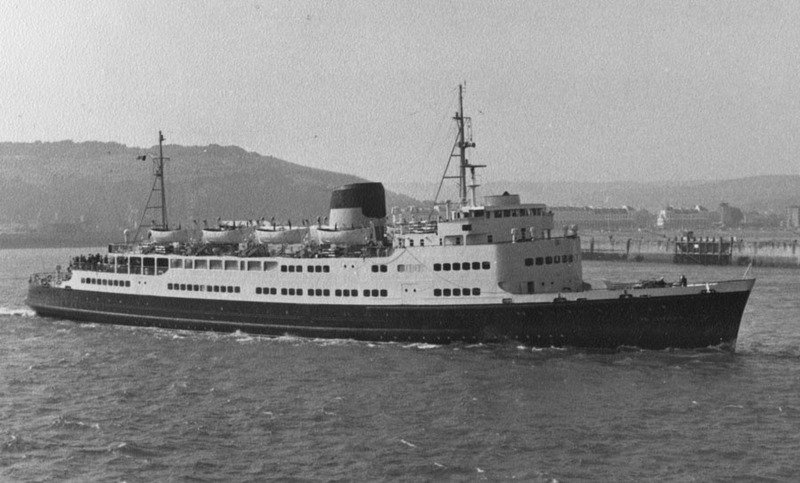 March 10th 1978: Left for Piraeus to be rebuilt, Renamed NAJD. 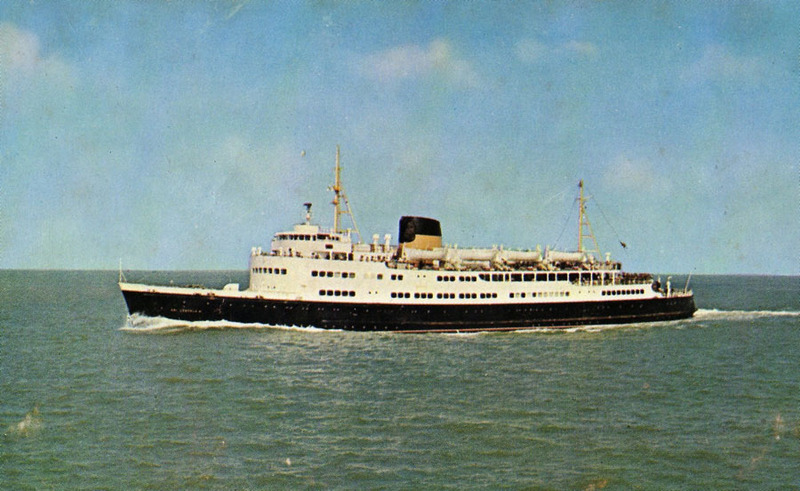 1978: Commenced service between Jeddah – Aquaba – Port Suez. 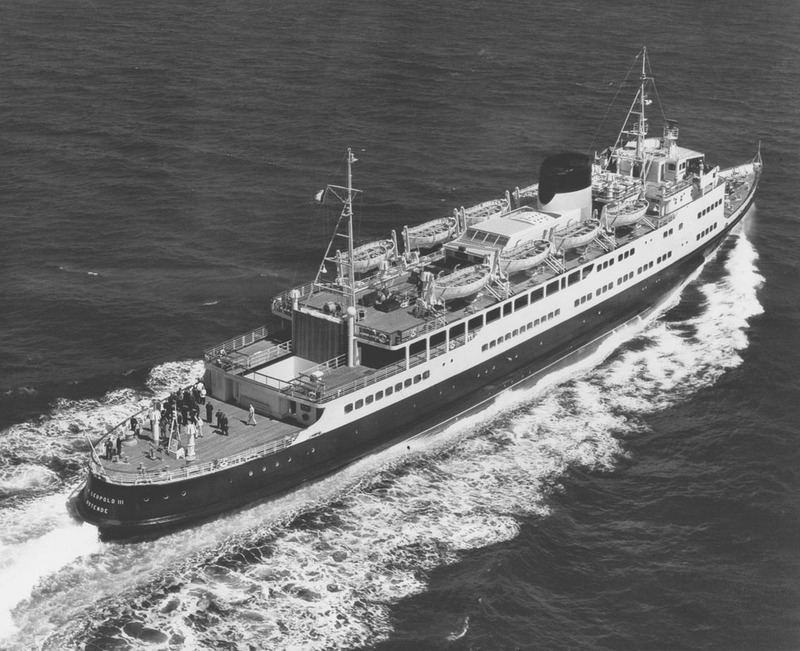 1979: Registered to Najd Shipping Co., Saudi Arabia. 1980: Registered to Najd Trading & Constructions Est., Saudi Arabia. 1987: Broken up in Pakistan. All information is believed to be correct and no responsibility is accepted for errors or omissions. All items included in this article are subject to © copyright. We would like to take this opportunity of thanking: Jim Ashby, Tony Garner, A G Jones, Ken Larwood and Arne Pyson for their assistance in compiling this feature.